Plain abdominal radiograph shows several dilated small bowel loops arranged in a horse-shoe like fashion with air-fluid levels. 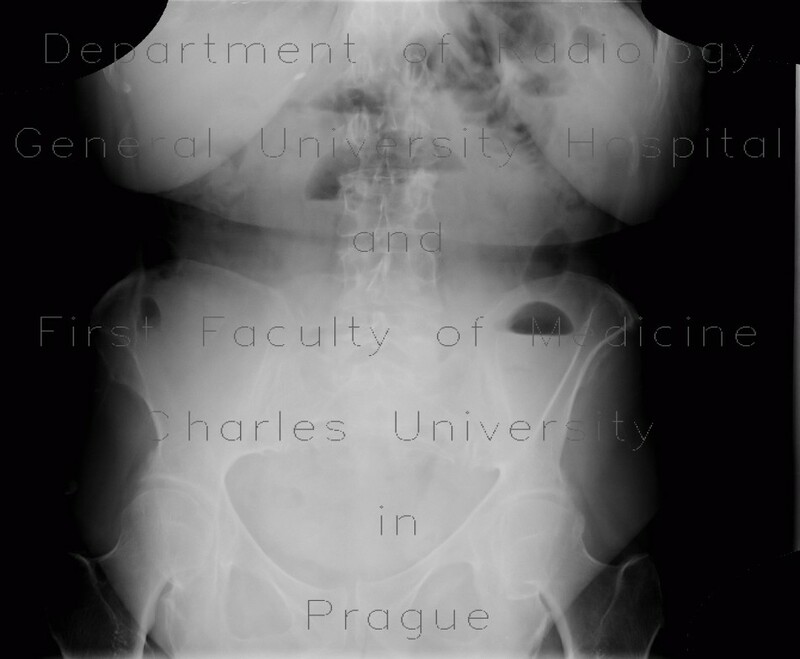 Small bowel follow through shows dilated small bowel loops that are opacified with iodine contrast, that was given perorally. Ultrasound shows dilated small bowel loops and thickening of bowel wall with hyperechoic mucosa due to inflammation.